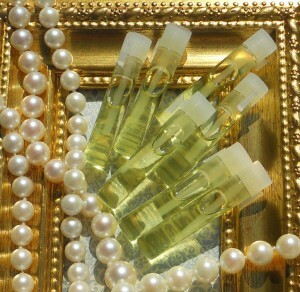 One of the most effective and easiest ways to overcome morning sickness is through aromatherapy. Aromatherapy uses the scents of essential oils to soothe your stomach and your mind. There are a number of ways you can use aromatherapy to help with morning sickness. If you are hit suddenly with a wave of morning sickness, you can inhale a small amount of peppermint oil. Simply put a few drops of peppermint oil into a tissue, place it over your nose and mouth, and inhale two or three times. This will often settle your stomach quickly. There are a number of other essential oils which can help reduce nausea. Ginger, chamomile, and lemon grass are all excellent for nausea and morning sickness. Whichever essential oils you use, mix them with a carrier oil (these oils don’t add aroma, but are used to dilute the essential oils to make sure they don’t cause irritation to your skin). Most essential oils can be used for self-massage (again, stay away from peppermint oil for this purpose while you are pregnant), inhaled directly, or put into a diffuser or vaporizer. Some women find that using a diffuser or vaporizer with aromatherapy oils overnight while they sleep reduces the frequency and severity of waking up with morning sickness. If you think about it, aromatherapy makes sense as a morning sickness treatment. After all, scents are one of the main triggers of morning sickness. Any expert on morning sickness will tell you to avoid scents that make you feel sick when you can. Doesn’t it make sense that if some scents can aggravate morning sickness that other scents would make it go away? Every woman is different, and you may not react well to all aromatherapy scents. Try different essential oils and see which ones help reduce or eliminate your morning sickness.